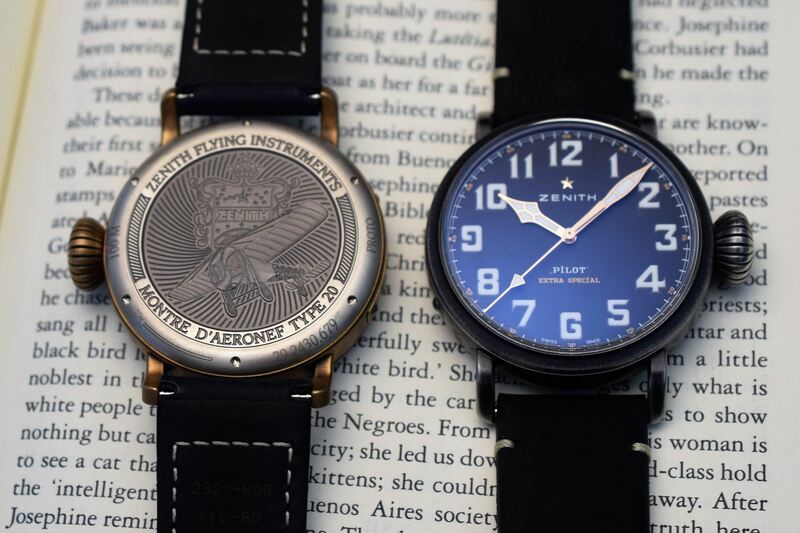 A ruggedly virile duo that will appeal to lovers of vintage-styled watches. 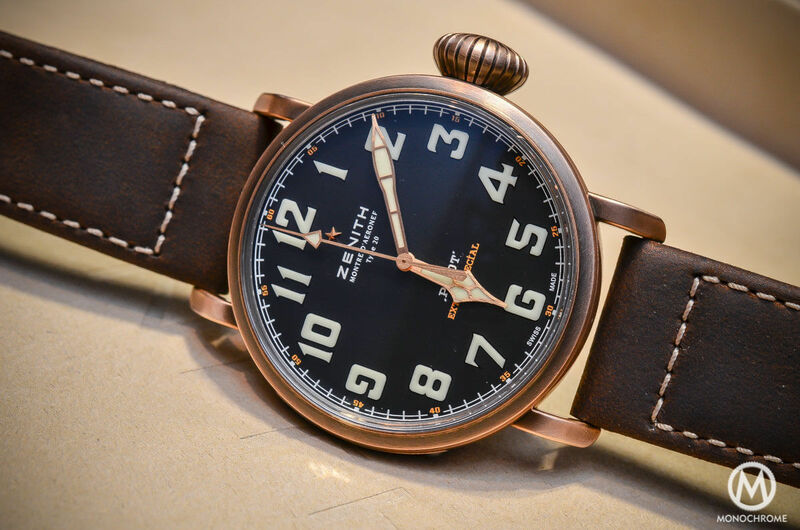 Introduced a few years ago, the Zenith Pilot Type 20 is a tribute to the brand’s rich aviation history. 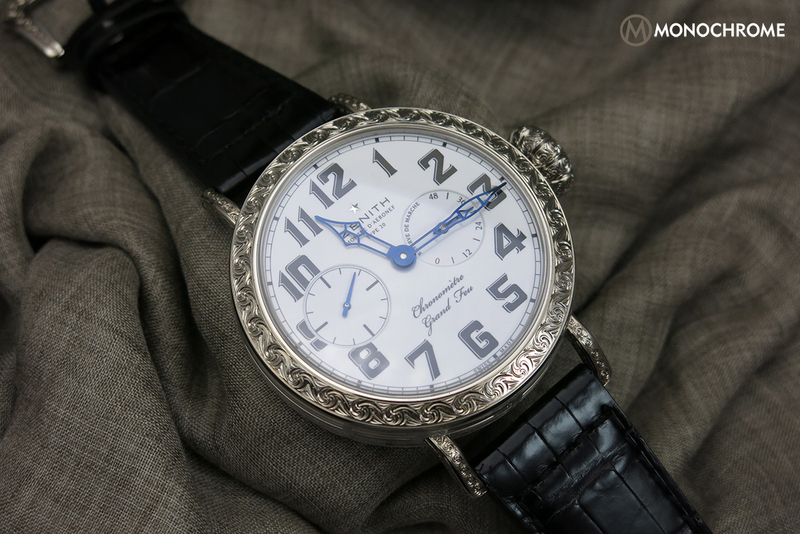 Among other highlights, in 1909, the French aviator Louis Bleriot became the first man to fly across the English Channel and did so with a Zenith watch strapped on his wrist. 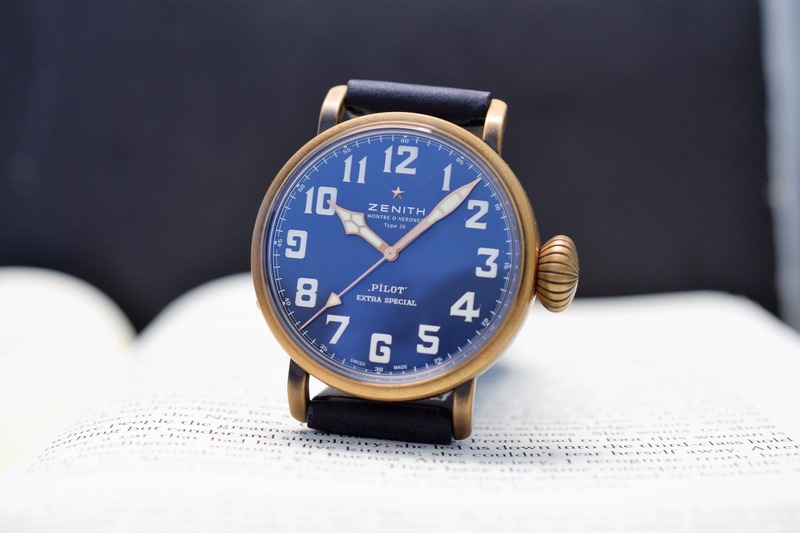 Zenith subsequently crafted an array of pilot watches and cockpit instruments. 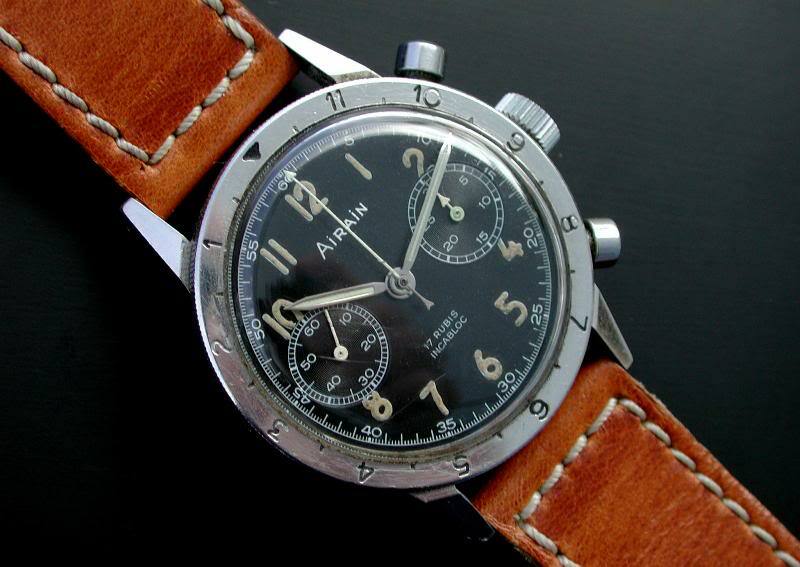 In the 1960s, the brand supplied chronographs to the Italian Air Force through a Roman dealer, Cairelli. 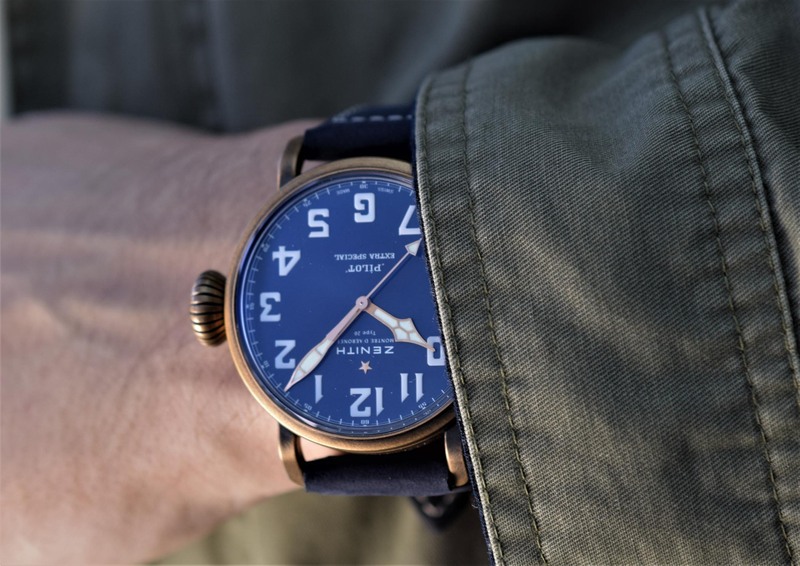 The vintage-inspired Zenith Pilot Type 20 features the DNA of onboard timekeepers: an imposing case, a prominent ratcheted onion-shaped crown enabling operations even with gloved hands, highly legible dials with oversized luminescent numerals paired with luminescent cathedral hands. On the occasion of the 2019 Geneva Watch Week, Zenith introduces two new time-only 45mm models. 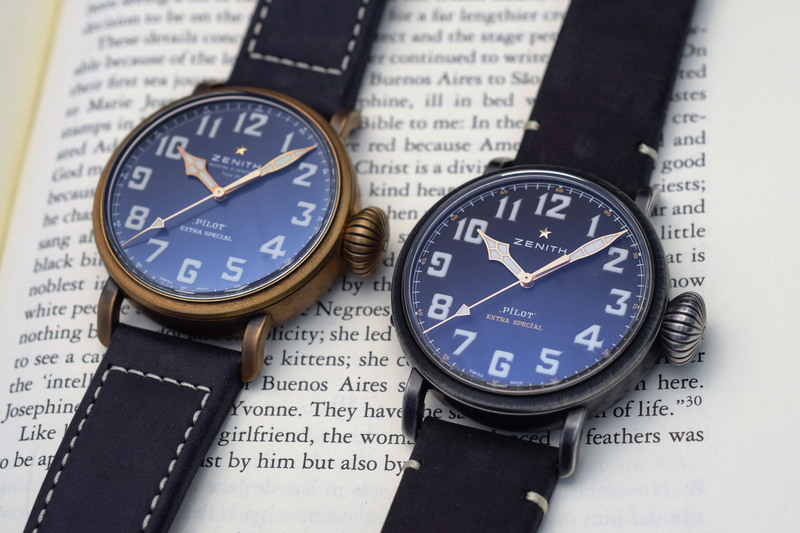 These new models come in two different materials that are bound to appeal to vintage and patina lovers, all the more as the Pilot Type 20 lends itself particularly well to vintage variations. The first one, the Pilot Type 20 Ton Up Black comes in aged steel with a black dial. 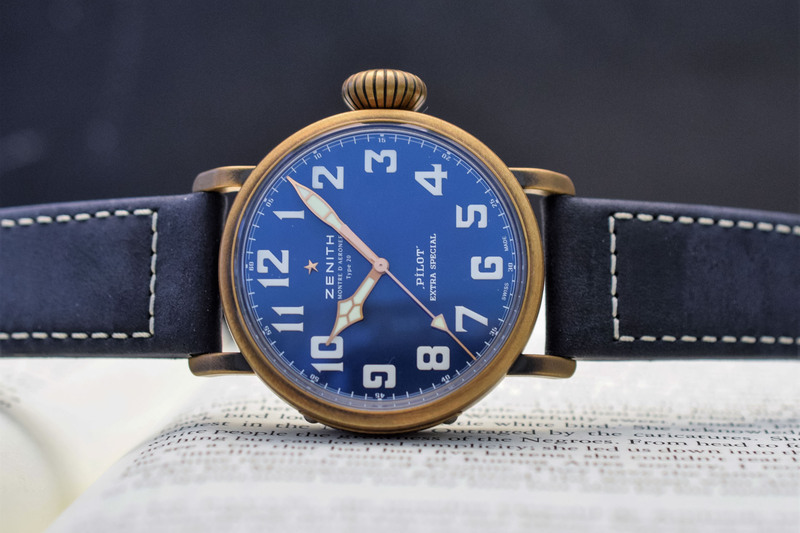 If its rather cool aged finish is the result of a coating, the second one, the Pilot Type 20 Extra Special Blue, features a bronze case (with a matte blue dial) that will slowly develop its patina over time. 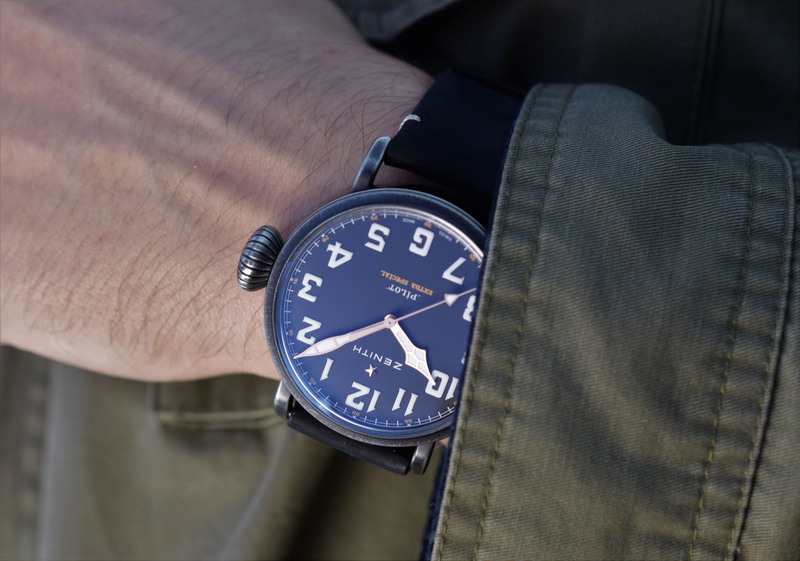 Just like the other Pilot Type 20 time-only models, the new watches are powered by the tried-and-tested Elite 679 calibre with hours, minutes and seconds. This automatic movement operates at 28,800 vibrations per hour and can store up to 50 hours of power reserve. 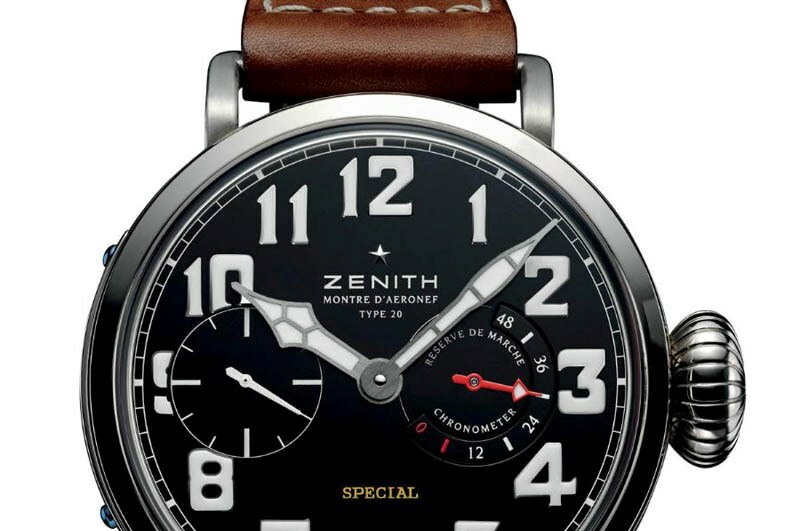 The solid titanium caseback of the bronze version is engraved with the “Zenith Flying Instruments” logo while the steel version comes with a “Café Racer Spirit motif”. These new models come on an oily nubuck leather strap with a rubber lining for enhanced comfort and with a titanium pin buckle. Price is set at CHF 6,900 for the steel and bronze versions. 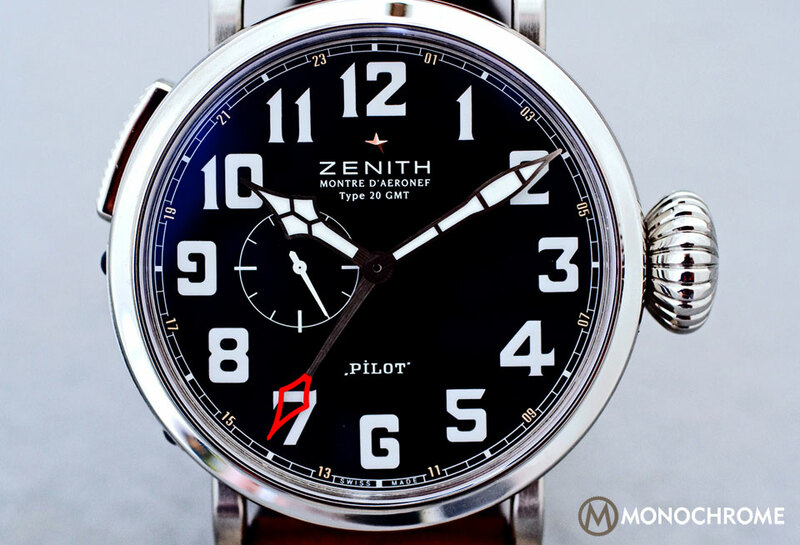 For more information on the Zenith Pilot Type 20, please visit the following pages here and here. Hhhhmmm. Expect to see these on the wrists of annoying little twerps being rude to waiters. I was browsing yesterday and I came across the std 40mm versions of the Type 20. They look feminine and Russian. In fact, they seem just the thing for a person looking to show how rich and fashionable he is. Not at all the exemplar of a Pilot’s watch. I was not interested.